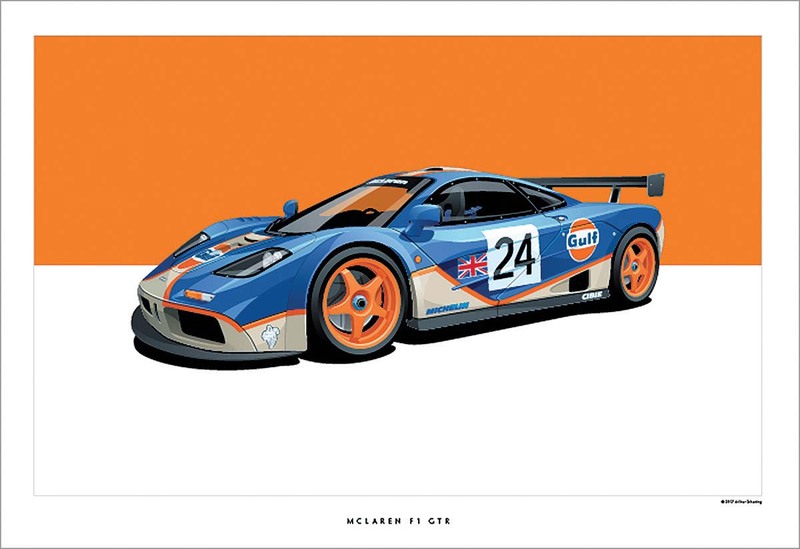 Ask any car nut and they’ll likely admit to having more than a few images of their favorite classic and/or competition cars hanging in their office, rec room or garage. If this describes you or someone you know, check out the collection of historic racing car posters by illustrator Arthur Schening of Schening Creative. The subjects in his collection include such notables as the Ford GT40, Jaguar D-Type, Ferrari 250 GTO, Lotus 49 and the Chaparral 2D, to name only a few. Each of Schening’s 13-by-19-inch illustrations are printed on thick, uncoated stock and sell for $30 each (plus shipping) and $95 for his limited-edition 24-by-16.5-inch prints. Browse the entire collection at www.scheningcreative.com.